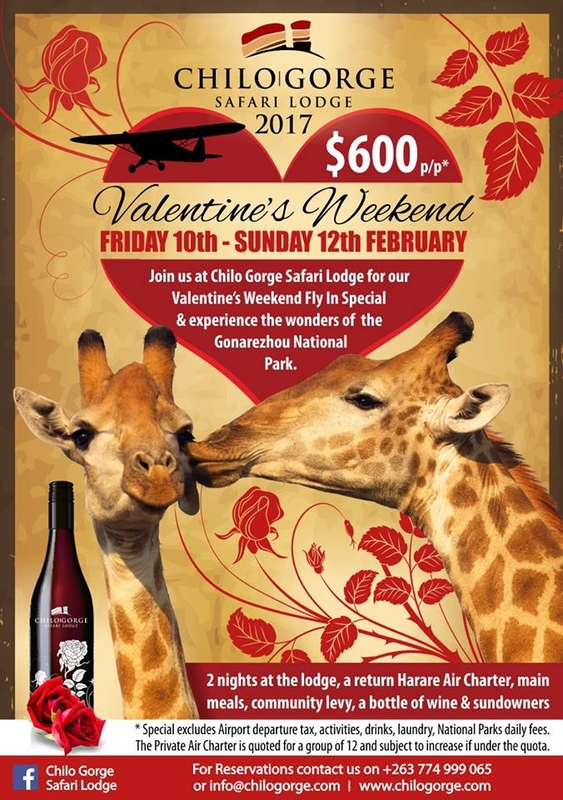 Join us at Chilo Gorge Safari Lodge for our Valentine Weekend Fly In Special and experience the wonders of the Gonarezhou National Park. $600 per person, Friday 10th -Sunday 12th February 2017. 2 nights at the lodge, a return ticket to Harare Air Charter, main meals, community levy, a bottle of wine and sundowner. Special excludes: Airport departure tax, activities, laundry, drinks, National Parks daily fees. The Private Air Charter is qouted for a group of 12 and subject to increase if under the quote..